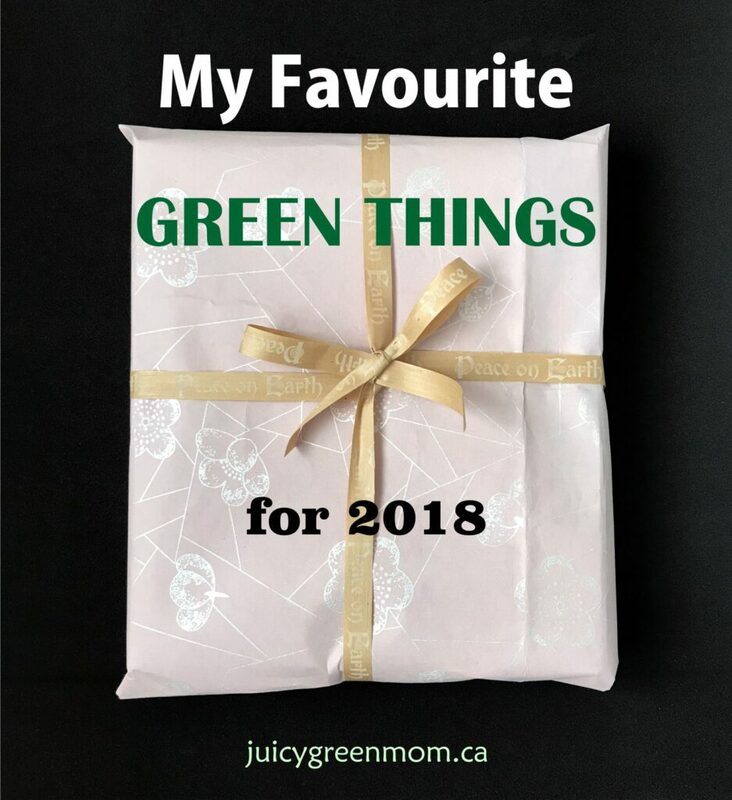 I am very excited to share with you my favourite green things for 2018! Not only that, there are 3 awesome GIVEAWAYS associated with some of my favourites – so make sure you read to the end to enter all 3! Christmas Spirit is one of my absolute favourite blends – it contains orange, cinnamon bark, and spruce essential oils. I love diffusing it at Christmas and really all year round! 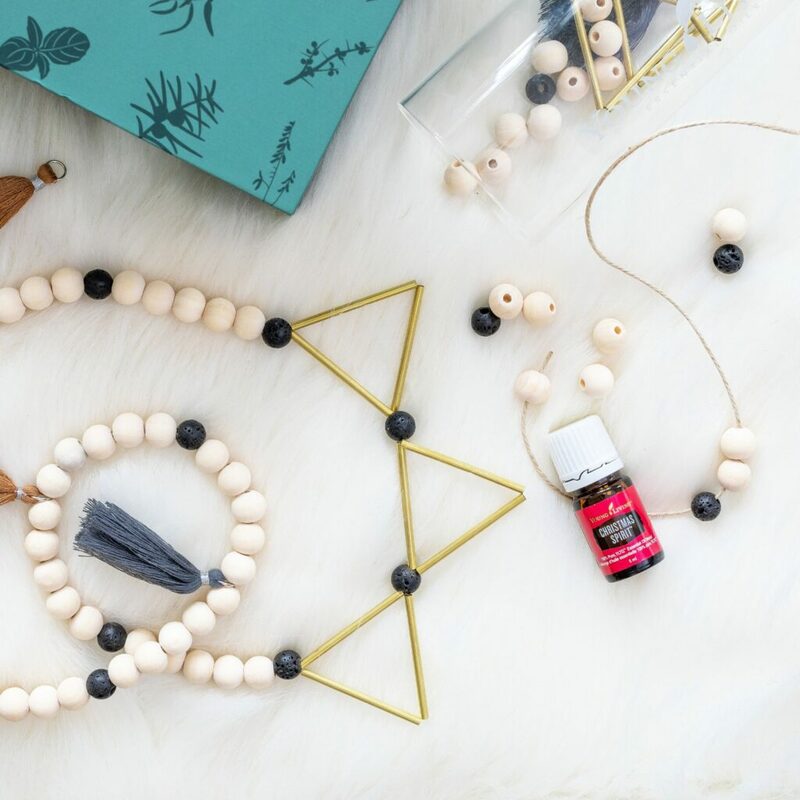 This special Canadian season kit comes with wood and lava rock beads and other embellishments, so you can make your own diffuser garland! What a fun thing to do with your family! And then you can put drops of Christmas Spirit on the lava rock beads to keep your home smelling amazing all season long. My Oni shoes from Ándale are now my favourite shoes. They are so comfortable and I get so many compliments on how cool they are! 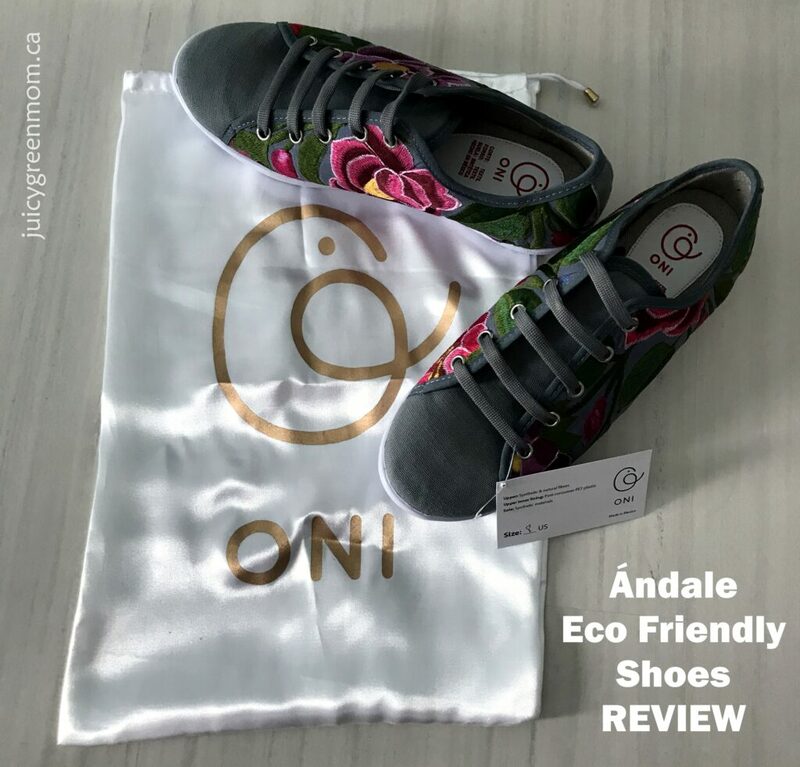 And you just can’t get any better than comfortable, fashionable shoes that are made from recycled water bottles. They carry eco-friendly shoes for men and women, and accessories like bags and laptop cases made from upcycled materials. Get geared up for Christmas with this awesome GIVEAWAY! Ándale is offering a $75CAN giftcard for you to win! This was on my list last year, but I love our LAMOSE water bottles so much, I have to put it on the list again. Especially since they now have a smaller size Robson bottle available, perfect for kids! Beautifully made, all stainless steel – they are amazing quality and really keep your drinks hot or cold for SOOOO long. If you’re in Edmonton, you can now go to RAAS at WEM, or Southgate Centre, to get one personalized on the spot. They don’t just have water bottles – they have mugs and tumblers too – perfect gifts for anyone! You can win your own LAMOSE 21 oz Robson bottle (like this one) by entering this GIVEAWAY! A local Edmonton winner gets free custom engraving with pickup at one of LAMOSE’s locations; OR a winner elsewhere in Canada gets to choose a bottle online and have it shipped for free! Yes – Thieves hand purifier is a MUST at all times, and I have struggled with where to put it in my daughter’s backpack for school. 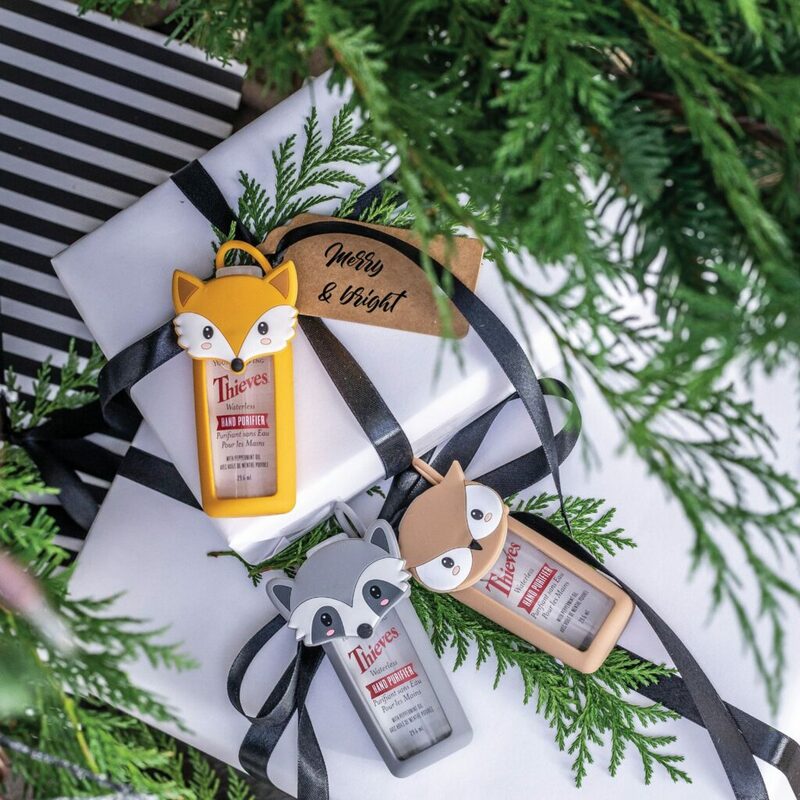 This adorable Woodland Thieves Critters Collection completely solves this problem!! Perfect for kids (or on your own bag – I’m eyeing that raccoon for my purse handle) and a sweet and simple stocking stuffer. This is another Young Living Canada seasonal exclusive! I love diffuser jewelry because it’s an easy way to keep aromatherapy going when you don’t have access to a diffuser! 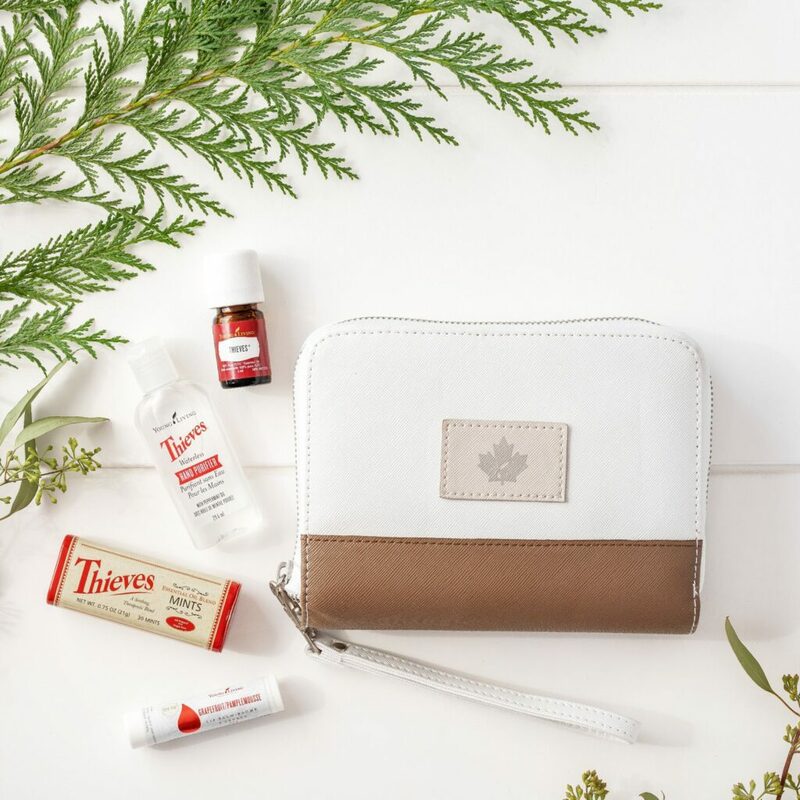 This Young Living Canada seasonal collection has a gorgeous lava stone diffuser necklace, and a bottle of Joy essential oil. I have heard many comments from people about how Joy truly makes a difference to their mood. It contains bergamot, ylang ylang, geranium, lemon, coriander, tangerine, jasmine, roman chamomile, palmarosa, and rose essential oils. Single use disposable straws are among the worst offenders contributing to plastic pollution. That’s why I try my best to remember to bring my reusable straws with me (but I have to be honest, I forget about a third of the time). Project Straw is trying to make it as easy as possible for you to bring your reusable straws with you! Adorable fabric pouches that can hold several straws (for your whole family if you need! ), and each set comes with a cleaning brush too. 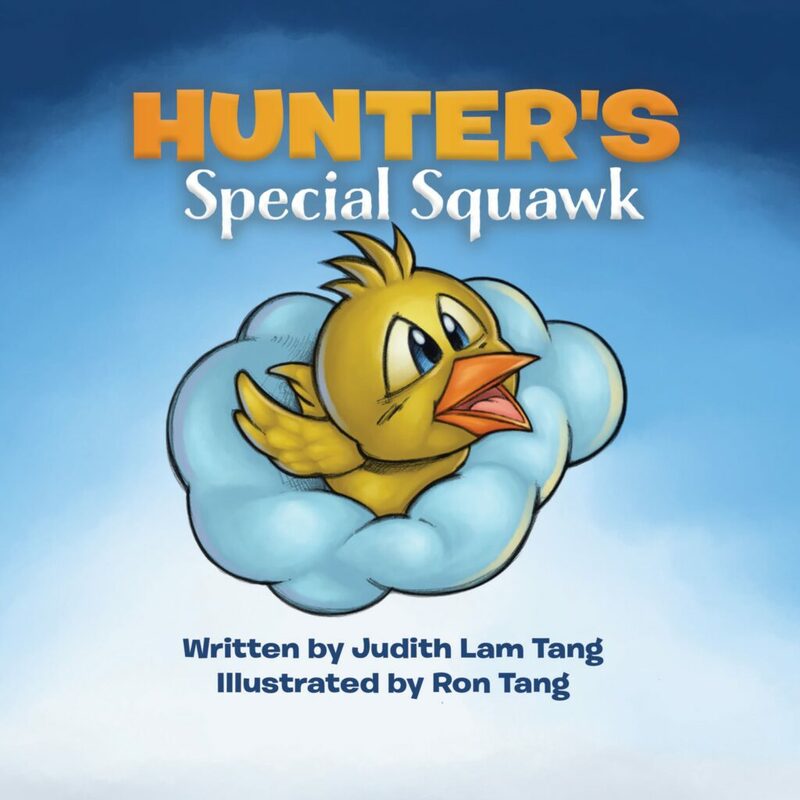 Check out my review here! This would be an awesome eco-conscious gift for virtually anyone on your list! 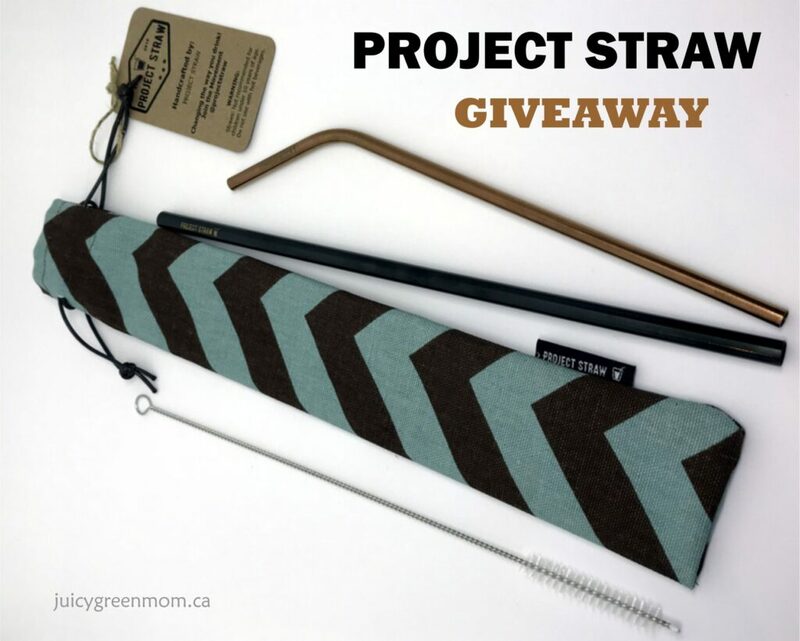 Enter to win your own set from Project Straw! They are giving away a set of 2 straws with a brush and pouch – for you to keep or give away. 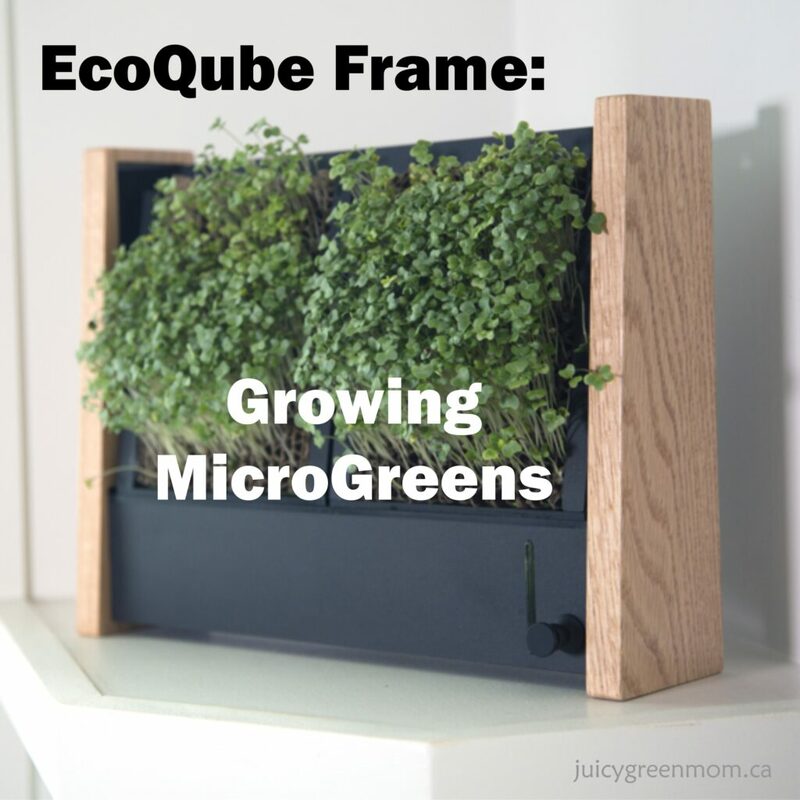 I have been really impressed with how my EcoQube Frames have been growing microgreens successfully and easily. Check out my posts here and here. An awesome gift for anyone wanting some extra green in their space that is compact, functional, and edible! AND – you can get 15% off your purchase of $50 or more by using this discount code: GET15-SKMGPB. SWEET!!! Last year I put the 6 qt Instant Pot on my list, and now… I need to put the 8 qt pot on this year! The larger size can accommodate a larger whole chicken and all the fixings in one pot. A very easy dinner to throw together, it’s one of my go-tos on a busy weekday. If you haven’t tried Instant Pot cooking, you must! So quick to throw together and easy cleanup! I try to make my own lip balms as much as possible, but sometimes I don’t have the time or the ingredients on hand. 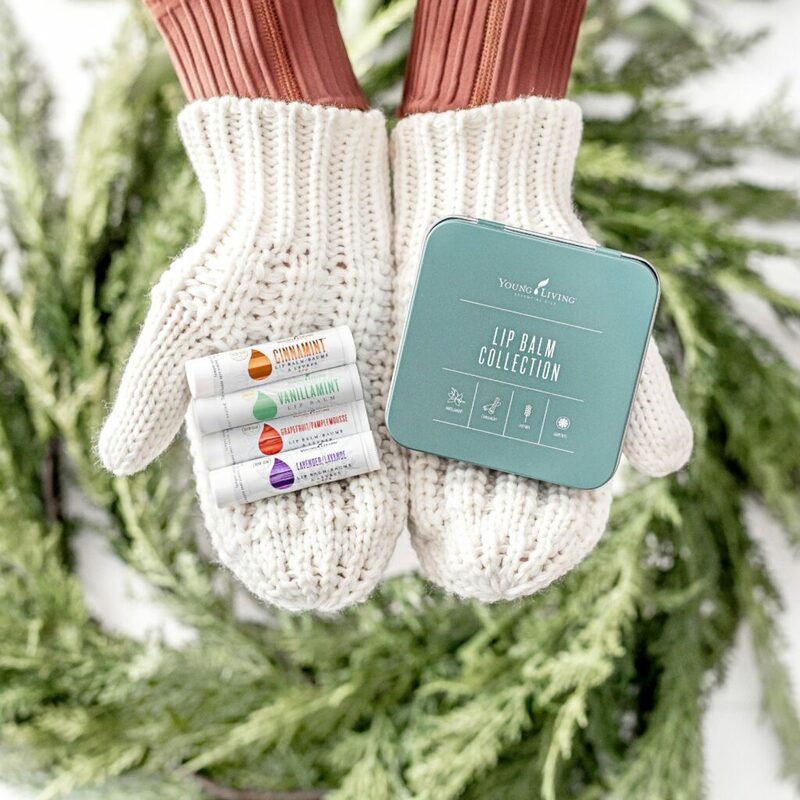 This lip balm collection is a great gift for 1 person, or you can split them up for a few people! Young Living lip balms really are extra smooth and luxurious – perfect for the dry winter months! What are your favourite green things this year? One of my favourite green things are reusable fabric wraps! So awesome!! I would choose the Onyx Robson bottle. Thanks so much for the giveaways! Nice post and very interesting as well. I liked all your ideas and would like to make use of some of your tips. Keep posting such articles so that readers can get some ideas. Thanks for your comment! I hope you enjoy some of these green goodies! Ahhh so many great green things! I have some research to do!